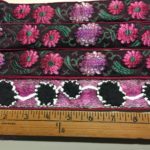 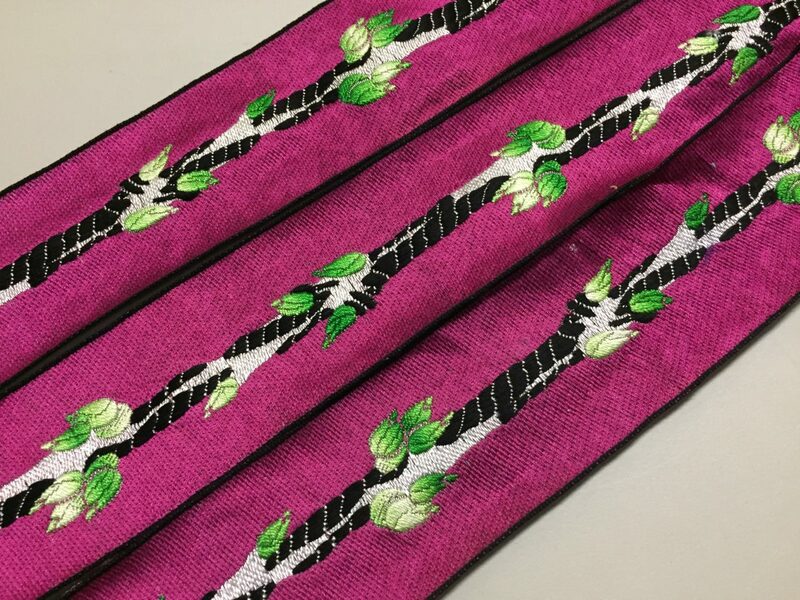 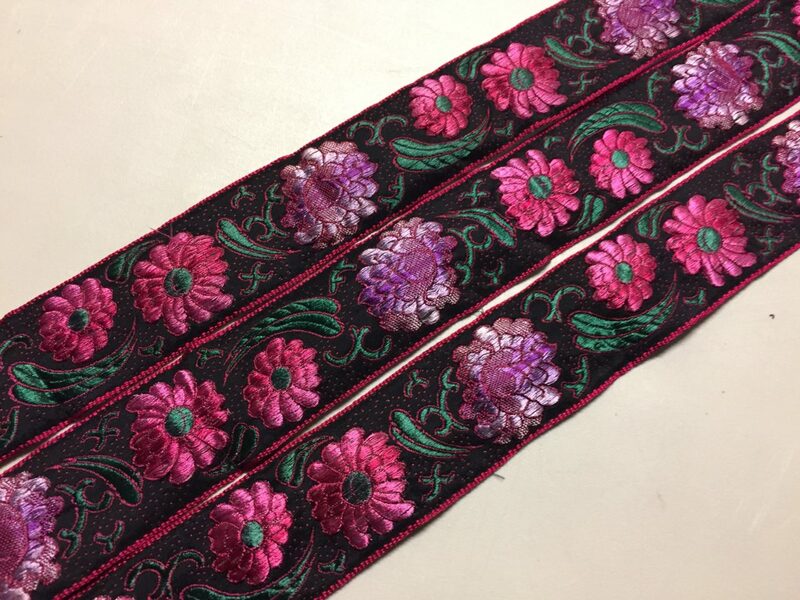 Brocade Ribbon, a Fuchsia with Pink to Purple ombre and Green on lifted floral Pattern against a Black background. 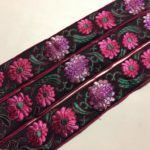 The contrast is stunning, 1 5/8 inches wide. 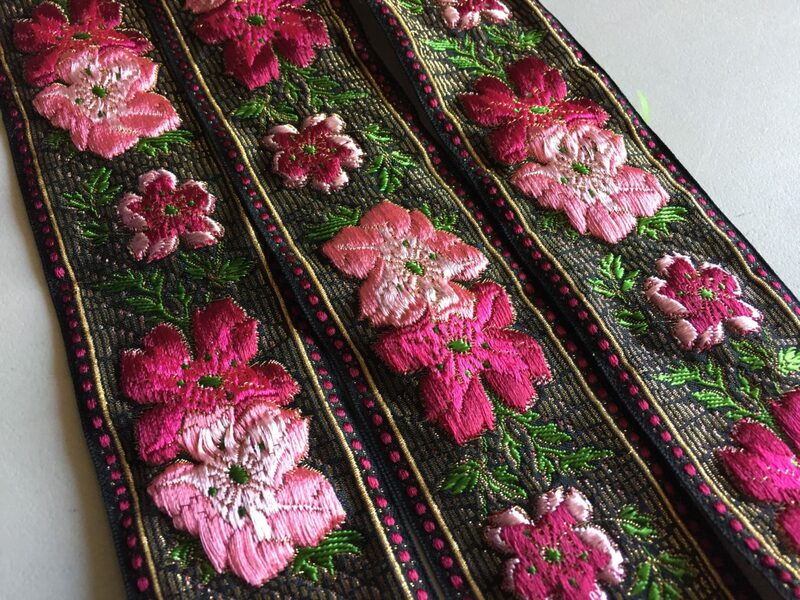 Thick and dense trapunto weave. 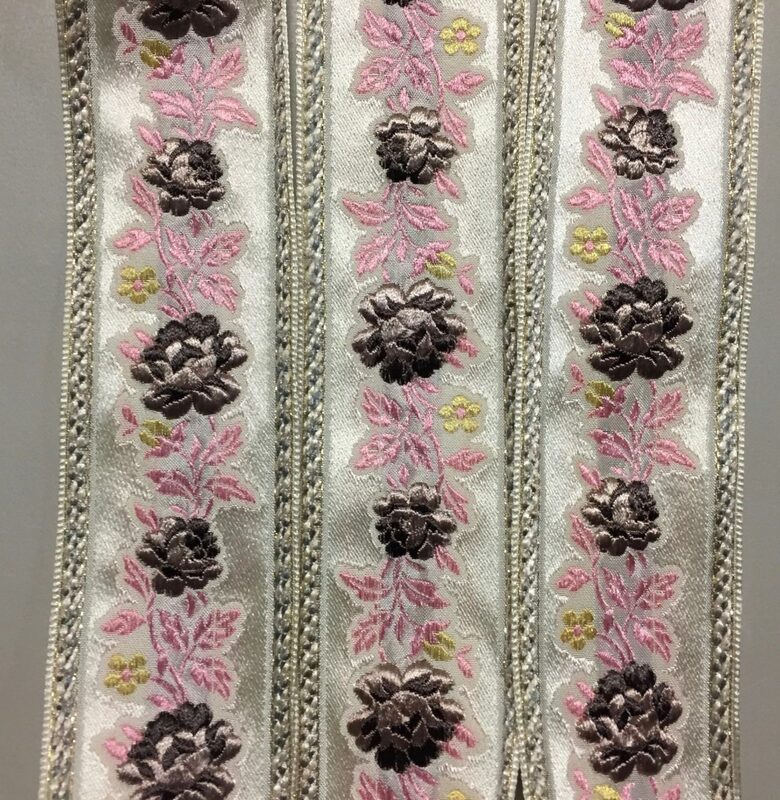 Vintage, made in France. 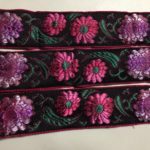 This trim would work for clothing, interior design or millinery.